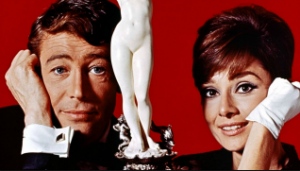 With style to burn, this elegant 1966 romantic comedy features a sparkling Audrey Hepburn who decides to rob a Paris museum to protect her wealthy father (who is an art forger), and Peter O’Toole as the burglar she hires for the job. Needless to say, things don’t work out exactly as planned after the two stars meet. Sit back and enjoy Hepburn and O’Toole’s delightful performances—and don’t miss the classic double-take from French comic actor Moustache. Sponsored by The Knolls - a Bethel Community. Presented in partnership with the Westchester Library System.